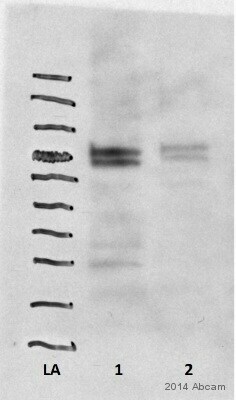 Inquiry: Hi, I need and antibody for Mouse IRF5-ChIP grade. I notice that Abcam has a human IRF5 specific (predicted to work on mouse too). Do you have updated data for this antibody to work in mice? Can you send me a sample to try it? I have access to IRF5 knockout mice that I can use as a control. Thank you very much for your interest in ab2932. To our knowledge, ab2932 has not been tested in mouse. Therefore, I can offer a discount off a future purchase if you buy ab2932 now, test it in mouse and submit feedback to us in the form of an Abreview. It doesn’t matter whether the Abreview is positive or negative, we would just really like to receive your feedback. The discount would be to the value of: 1 free primary antibody. 1. Reply to this e-mail to let me know that you would like to proceed and test ab2932 in mouse. I will then send a discount code. This code must be issued before purchasing ab2932 so please wait for my reply before ordering. 2. Purchase ab2932 either by phone, fax, or online (www.abcam.com). 3. Test it in mouse. We are always pleased to obtain feedback about our products and any information is greatly appreciated! Even if ab2932 turns out to be unsuitable for mouse you will still receive the discount on your next purchase after your Abreview has been submitted.